Leaders that try too hard to win people over are the ones that end up losing the respect of their employees — especially when it's not genuine. The most memorable leaders know how to naturally make a good first impression. They are mindful of what most employees do and don't expect of them and want to create for them a safe environment that enables engagement. Leadership success is all about people and when leaders forget this fact, they are headed down a path of self-destruction. Typically, we choose our leaders for their skill at conveying messages clearly and powerfully. But it's their ability to listen that distinguishes great leaders from the rest. We often attribute courage and strength to the speaker, but what about the listener? The art of listening is a leadership strength that is often greatly underdeveloped. Some leaders "hear," others use communication techniques to make others believe they are listening, while few leaders actually have listening skills and abilities. Companies and executives spend endless amounts of time and money trying to foster collaboration through technology, training and memos instead of quickly defining the problem, framing the challenges and inspiring people to come together and tackle it. Let's remind ourselves of three outstanding examples of collaboration. 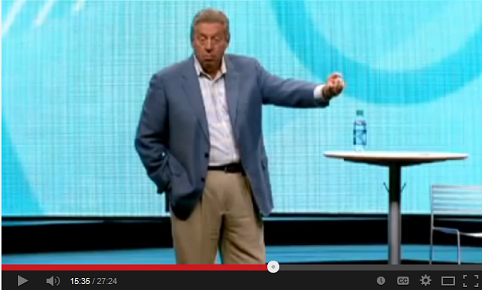 New York Times best-selling author Dr. John C. Maxwell teaches the high points of "The 5 Levels of Leadership" at The Chick-Fil-A Leadercast. Watch the video. The most significant challenge for any organization, and the only source of sustainable competitive advantage, is recruiting, hiring, developing and deploying the right people. To win the battle to attract, develop and retain the best and brightest talent available requires a multifaceted and non-traditional approach. It's not enough to post a job on Monster or to scour LinkedIn, hire employees who look good on paper and then hope that everything will work out. President's letter: Have you looked in the mirror lately? Whether I'm at home in southern California or traveling across North America and the world, I'm reminded at almost every turn that we have a problem in the fire service — one that used to get a great deal of attention, but has fallen off the radar screen lately, IAFC President Chief William R. Metcalf writes. With the exception of a few widely scattered departments that have excellent programs in place and an excellent track record, we're not a diverse profession, whose membership resembles the ethnic and gender diversity of the communities we serve. Many years ago, when I was a new manager, I received a shocking review, Dan Levy writes. It wasn't positive. My team told me (via my boss) that I was a micromanager. I walked away disappointed. If I had known about this problem, I could have fixed it. Here are some of the tips I've been using over the last decade to gather more feedback and to build a culture of feedback within my teams.